#69: Is it a small world? You know the phrase, "Its a small world'? Well.. It's only getting smaller. Technology has propelled this global shrinking. Gone are the days when man had to travel vast landscapes for days to reach anywhere. Today, you can skip from one hemisphere to the other in a matter of hours! Virgin's Hyperloop One is looking at shrinking the world further by turning hours into minutes. They will be building India's first Hyperloop System in Maharashtra. The network will run from Mumbai to Pune, chopping travel time between the cities to 25-minutes, instead of the 3 hours it currently takes by road. With the recent launch of WhatsApp Payments and the growing user base of Google Tez, tech Giants Facebook & Google will soon enjoy monopoly over India's Digital Payments market, while dethroning PayTM in the process. PayTM Founder Vijay Shekar Sharma seeks to level the playing field by getting the government involved. Our last couple of issues must've given you an idea of the multiple use cases Blockchain tech will soon have in everyday life. Tech innovation has been set alight by Blockchain which inevitably points to blockchain engineers being the need of the hour! Hiring can be an excruciating process in this job economy, not only for startups but the big players as well. Here's how you can streamline you're hiring process by treating it like a product. Speaking of excruciating things, are you drowning in the deep sea that is procrastination? Let us help you swim up to the shore. Get going with the things you're put off for too long! We're looking forward to a festive weekend at Investopad! 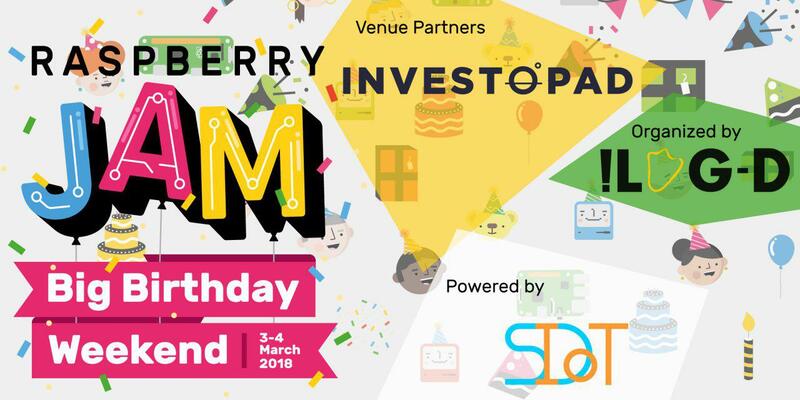 Apart from Celebrating Holi this weekend, we're also celebrating Raspberry Pi's sixth birthday with ILUG-Delhi's Raspberry Pi Jam at our Gurgaon Studios. Come join us for some birthday cake!